participation in more than 60 trade shows and developed “High Tech, Made in New York,” an overseas trade show devoted exclusively to New York products. 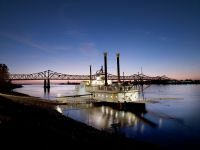 He and his staff were involved in export education and training, identification and distribution of export leads, agent and distributor programs, the development of a Sister State program with China, and the development of international trade publications, videos, and marketing presentations. 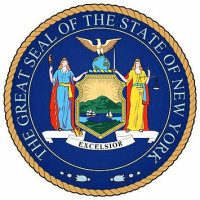 During his tenure New York State was awarded the “President’s E Star Award” for its excellence in export programming. Subsequent to his tenure, Parter International was retained to work with New York State on joint venture, acquisition and merger programs. 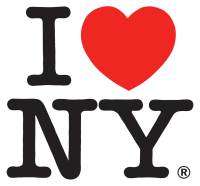 Involved with the joint marketing efforts and European promotions for the “I Love NY” overseas campaign. Examples of partners were Pan Am Airlines, Eastern Airlines, Loews Hotels, and Broadway shows. 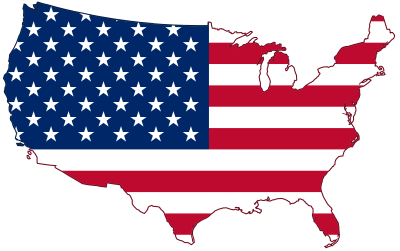 US companies export to, enter into partnerships with, or establish business in the UAE. Parter International was responsible for all phases of the trade mission from researching the feasibility and value of the project to identification of target companies, recruitment of participants, scheduling meetings, and leading the trade mission. overseas office activities; budget recommendations, program development, measurement techniques and search for new staff. In addition to this assignment Parter International has been retained by the Commonwealth for three other trade related assignments: the development of an International Activities Website Calendar; the development of an online trade lead and overseas office measurement program; and an export of services program for the Pennsylvania Council on the Arts. Retained to implement the plan’s two recommendations: the creation of a $12 million Greater Philadelphia Tourism Marketing Corporation (GPTMC) and the initial phase of the development of a new Visitor Center on Independence Mall. In order to fund the GPTMC, $6 million was contributed by the PEW Charitable Trusts, and Parter International negotiated with local and state governments to obtain a $3 million commitment from the Commonwealth of Pennsylvania, and a $3 million commitment from the City of Philadelphia. The strategic tourism plan’s two recommendations have been completely and successfully implemented, and residents have developed pride in Philadelphia’s tourism program, and satisfaction with the city’s improved image. Retained again in 2002 to conduct an assessment of GPTMC’s marketing and an analysis of its economic impact/ROI. We studied tourism to the Greater Philadelphia area in order to determine the importance (financial and other) of the tourism industry to the city and region, and evaluated the success of particular programs. We also reviewed trends in the tourism industry that pertained to Philadelphia, conducted a SWOT analysis, performed an economic impact analysis, and compared Philadelphia with competitive destinations. Facilitated an all-day strategic planning retreat in 2003 with the GPTMC Board of Directors. 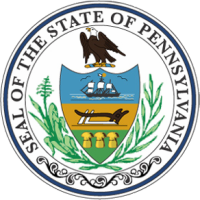 Included in this group of twelve individuals were Governor Rendell of Pennsylvania and Mayor Street of Philadelphia. Prepared a 2003 report justifying a GPTMC five-year, $45 million funding proposal to the Delaware River Port Authority. The report includes an evaluation of the successes, challenges, and weaknesses of the GPTMC, an analysis of the programs for which the funding will be used, an economic impact study of the value of tourism marketing and a discussion of the target market for Philadelphia tourism. to implement our recommendations for both the show and the PHS. Our study included recommendations for a marketing affinity program, a sponsorship plan, new product offerings, a merchandising program, and financial benchmarks and modeling. During the second phase of our assignment, in addition to implementing the recommendations mentioned above, we developed an external and internal communications plan for PHS. This plan identified audiences relevant to each PHS department, clarified messages, established objectives, and suggested communication options. Lancaster. The plan contained a vision statement; a SWOT analysis of the tourism product, marketing, and organizational issues of the County and City; a public participation strategy; economic impact considerations; a transportation/mobility plan; and funding and economic development recommendations. 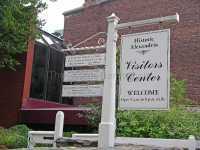 We also made recommendations on visitor orientation elements such as brochures, a website, visitor centers, and signage. Conducted both primary research, including interviews and surveys, and secondary research, and met regularly with County and City tourism groups. Working together with the NASDA, Alan Parter was responsible for helping to develop California’s trade development program. Team members studied the product strengths of the state, the government infrastructure, the administrative and legislative expectations, the anticipated available funding, and other relevant issues in building an export program appropriate for the state. element of this project. The team, consisting of tourism and display consultants, architects, and engineers, made on-site observations, conducted one-on-one interviews, developed and distributed visitor and bus surveys, facilitated focus groups, made numerous presentations to working groups, and met regularly with the City Manager, Mayor, and Planning Commissioner. Based on the information collected and the expertise of the team, initial recommendations and drawings were presented to the community. recommending a new organizational structure, and preparing marketing proposals. Throughout the year and a half process, the team conducted numerous interviews and regularly made presentations to stakeholders in order to fully understand local concerns and to ensure community buy-in to the recommendations presented in the final report. conducted over 40 one-on-one interviews with stakeholders, and convened meetings with others. We interviewed 25 practitioners from competitive destinations and studied tourism trends in the region and demographics of Baltimore tourists. We reported our findings and recommendations directly to the Mayor. 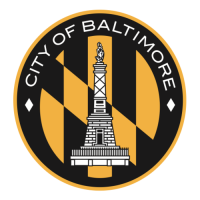 Subsequently, we were retained to advise the Mayor’s Cultural Tourism Advisory Council, which was formed as the result of our recommendation, to implement a strategy to market Baltimore’s cultural tourism. Dale Carnegie & Associates Advertising, Inc.
program and offered services related to sponsor/institute relations, media relations, programs/events, and consulting/support. Wrote and designed a 100-page Public Relations How-To Kit for local DCA offices. Subsequently updated kit materials. Conducted public relations seminars at DCA conferences. Created a model DCA press kit for distribution to sponsors and institutes. Conceived and helped produce an infomercial. Wrote press releases and launched successful publicity campaigns centered around a new CEO, penetration into the international market, the release of a book, and the 80th anniversary of Dale Carnegie courses. Arnold K. Davis & Co., Inc.